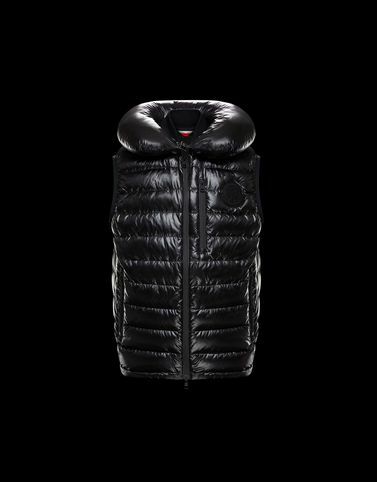 The 2 Moncler 1952 line, collection n°2 of the Moncler Genius project, opens the brand’s archives, choosing the most iconic pieces that have made generations fall in love, redesigning them to satisfy a contemporary taste. The result is the Gironde, a highly versatile vest that incorporates a Pop attitude and a state-of-the-art high-tech character. Ideal for a sporty traveller, able to constantly be reinvented and experience the city and the mountains with the same spirit. Do not wash; Do not bleach; Do not tumble dry; Ironing maximum temperature 110°C - without steam; Dry cleaning with hydrocarbons - mild process; Do not professionally wet clean; Dry flat; Wash separately; Remove detachable accessories before washing; It is advisable to wash and iron the garment on reverse.